I drop off my laundry here and the ladies always do a great job of washing and folding. If you drop off early enough , you can usually get your laundry back in a few hours. The price seems reasonable to me Open until 11pm is a bonus. They have TV and wifi to keep you busy if you do your own laundry. The ladys are so friendly and do a great job on my clothes. The smell fresh all week long. Fairly priced i recommend anyone who does launry at a laundromat to use this one. Decent price, decent speed services. Overall good won't regret it. 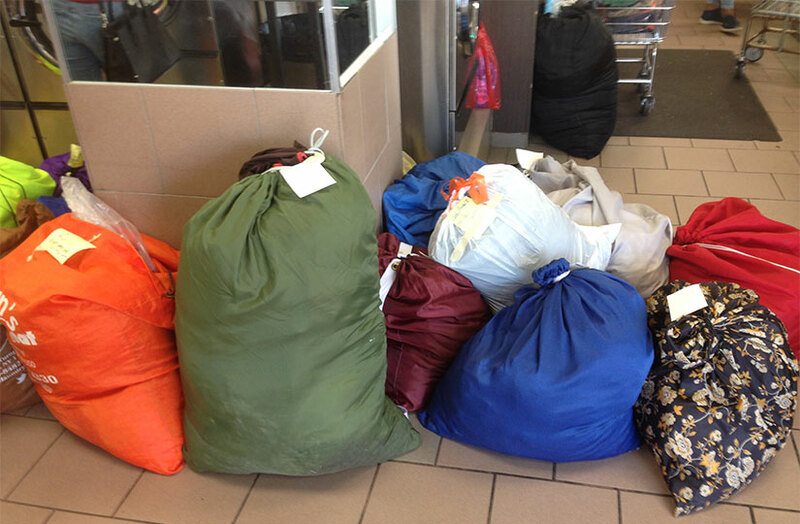 At The Clean Scene Laundromat we provide a unique wash, dry and fold service where upon completion, you will receive a text or email that your items are ready for pickup ! We use a delicate wash. We wash darks in cold water. We wash whites in hot/warm water to brighten the fabric and clean stains better. We dry all clothes in low/medium heat. Your clean laundry is then professionally folded. If you have special instructions, please write them in your order. CLEAN SCENE LAUNDROMAT SERVICING ALL YOUR LAUNDRY NEEDS IN THE WEST HEMPSTEAD COMMUNITY AND NASSAU COUNTY FOR THE PAST 15 YEARS ! © 2017 Clean Scene Laundromat. All Rights Reserved.